Hydroxycut Gummies Review: Effective for Weight Loss? 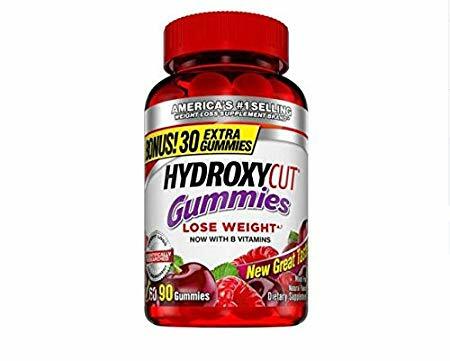 Hydroxycut Gummies are making the rounds as one of the latest and most popular weight loss supplements you can buy today. But the question is, does it really work in slimming you down and making you lose stubborn fat? Check out this Hydroxycut Gummies review and find out if the product is worth your time or money. Hydroxycut Gummies is billed as America’s Number 1 Selling Weight Loss Supplement Brand. Essentially, it’s a 2-in-1 product that combines multi-vitamins and weight loss components in one package. Two of the supplement’s main selling points are its’ form of consumption (gummies! 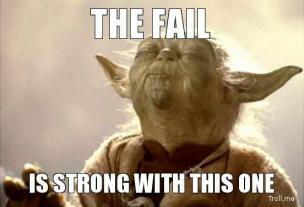 ), and the fact that it doesn’t have stimulants. Delve a bit further and you’ll find that Hydroxycut has other products that you can mix and match with Gummies to reach various weight loss goals. They’re ideal for individuals who don’t want to be inconvenienced with multiple supplements and those who want to enjoy eating their vitamins. Hydroxycut Gummies are scientifically formulated to produce satisfactory weight loss results, and it only contains 1% caffeine. The gummies contain 16 essential minerals and vitamins, including the B complex ones and vitamin D. The one key component in Gummies is C. canephora robusta, an ingredient that showed promising results when a study made individuals lose weight over the course of 60 days. Having a 2 in 1 one supplement that’s a multi-vitamin and a weight loss product does sound like it’s more convenient, but does it really work as advertised? We’ll find out more below as you read on. Who Are Hydroxycut Gummies For? Hydroxycut Gummies is primarily for those who want to lose weight. One of the ingredients, C. canephora robusta, is key to making individuals burn stubborn fat without the use of stimulants. In a study that consisted of 60 people, it was discovered that canephora robusta helped individuals lose approximately 10.95 lbs. following a low-calorie diet. In another, c. robusta helped individuals lose about 3.7 pounds as compared to those who took placebos. The 2-in-1 supplement will certainly appeal to those who want to minimize the number of capsules, tablets or pills they have to take each day. Keeping tabs on just how much you should take and when you should take them can be quite overwhelming, especially if you’re trying to complete multiple goals. Hydroxycut Gummies solves that problem by giving consumers what they need in a neat and tidy package. Last but certainly not the least, Hydroxycut Gummies presents a “fun” way to get your much-needed nutrients. The gummy is tasty and it’s the complete opposite of having to drink caplets and shakes. It’s convenient and made for busy people who are always on the go. Optimal dosage is set at 2 times daily so you won’t have to put up reminders on apps or your calendar. Coffea canephora is an extract coming from the Robusta bean variant. It’s Hydroxycut Gummies’ weight loss component that does a number of things for your body and health. The unroasted green coffee bean contains a lot of chlorogenic acid that’s used as a metabolic booster. A high metabolism equals a higher rate of thermogenesis and less likelihood of future fat forming in the body. Each serving of Hydroxycut Gummies gives you approximately 200mg for optimal dosage. This study shows that C. canephora robusta is effective but only minimally so. A part of the B vitamin family, Biotin is oftentimes referred to as coenzyme R or vitamin H. It’s an essential part of the metabolic process for the creation and utilization of amino acids, carbohydrates and fats. It’s also a component that helps convert nutrients into energy. Vitamin B5 assists the body in creating red blood cells and converts food we eat to usable energy. As part of the B group, Pantothenic acid utilizes the fats, carbs and protein to support necessary bodily functions. Thiamin has a specific function of converting carbs to ready energy for the nervous system and the brain. In bodybuilding, Thiamin helps with optimized nerve signal sending and muscle contraction for faster reflexes and response time. A medicinal product that promotes good health and well-being. Riboflavin assists in producing energy and maximizing the use of oxygen by the body. A key mineral in the metabolic process, cell division, protein production and the immune function. For men, zinc increases testosterone production and lessens the effects of erectile dysfunction. Commonly known as the “eyesight” vitamin, it also supports a healthy reproductive system, immune system and it’s good for the kidneys, lungs, heart and other important organs too. 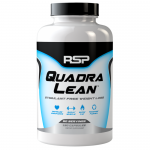 Responsible for improving internal absorption of phosphate, magnesium, and calcium. When taken regularly, it can stave off common health problems such as osteoporosis, rickets, muscle weakness, bone pain, and others. Vitamin E has antioxidant properties that fight off the effects of aging and free radical damage. It can prevent cataracts, Alzheimer’s, diabetes, heart disease and cancer when taken regularly. Vitamin K allows you to recover from cuts much faster than without. You also need it to form strong bones and tissues for optimal body function. This vitamin is also thought to help with certain skin conditions such as varicose veins and stretch marks. A trace mineral that improves fertility and cognitive function. It’s a super compound that has been proven to reduce the likelihood of cardiovascular diseases, cancer and cognitive disorders. 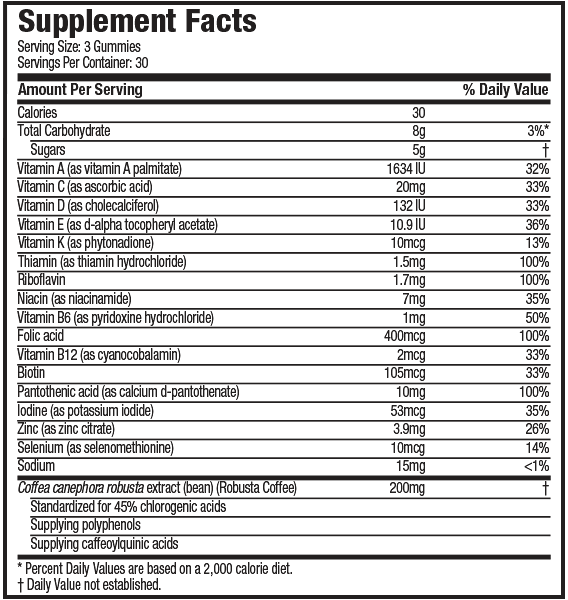 So basically this is just a multi-vitamin with C. canophera robusta. Meaning it basically has 1 ingredient that is mildly effective and it only has 200 mg of that 1 effective ingredient…that’s not good at all. You may think that with a supplement like Hydroxycut Gummies that contains only essential vitamins, minerals and green coffee bean extract must be safe and wouldn’t have side effects, but unfortunately, this isn’t the case. 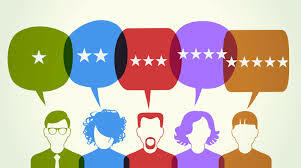 There are reviews coming from those who have tried it and reports from the FDA warning against using it. 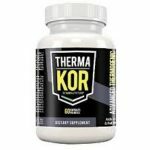 A quick look at the ingredients reveals that the weight loss supplement has caffeine, kelp fiber, spinach extract and the green coffee bean that helps burn fat and increase metabolic rate to a degree. It’s worthy to note that Hydroxycut Gummies isn’t the first product made, but rather a re-formulation of sorts. The previous supplements contained the controversial ingredient ephedra, which was promptly banned in 2002. Then, in 2009 the FDA warned against using all Hydroxycut variants as it caused serious side effects such as abdominal pains, liver disease, brown urine and jaundice. The manufacturer of Hydroxycut Gummies have made reiterations in the supplement’s ingredients to make it FDA safe, but as it turns out, there are still some lingering side effects. Chief among them is ischemic colitis, a condition where there’s reduced flow of blood and narrowing of arteries. Caffeine overdose can prove to be inconvenient at best and dangerous at worst. Liver damage is another cause for concern. The FDA has logged several health issues with the use of Hydroxycut Gummies that range from jaundice, elevated liver enzymes to rhabdomyolysis, vomiting, excessive fatigue, loss of appetite, weakness and nausea. Each bottle of Hydroxycut Gummies is made up of 90 gummies in mixed fruit flavors. Dosage is just at 2 per day, which makes it easy for the user to remember taking them. 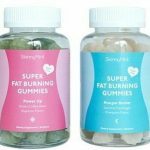 The gummy form is outstanding as there’s no need to prepare them (in the case of powders) or get a glass of water to down them (as with pills and capsules). Simply pop them in your mouth, start chewing and enjoy the fruity flavor. This gives Hydroxycut Gummies a noticeable edge over simple multivitamins and fat burner shakes. Green coffee bean extract has a long, proven history with fat, metabolism and weight loss in general, which should give you confidence that the supplement works. It’s one of the most potent natural ingredients around as well. When combined with your everyday multi-vitamin supplement, you get a full-spectrum boost not only in losing weight but in other health aspects as well. You can go on a diet without sacrificing essential vitamins and minerals, and this is what Hydroxycut Gummies offers. Mediocre is the key word that fits Hydroxycut Gummies. While it’s true that canophera robusta works, it works only by a small margin. In terms of weight loss, you’ll only see a small improvement over the course of a month. For those who want results, they may have to look somewhere else. For those who don’t mind losing only a few pounds every 2 to 3 months, then go ahead and enjoy the convenience of the 2-in-1 supplement. Hydroxycut Gummies’ novelty is interesting but it doesn’t really offer individuals anything in the weight loss department. You’d be better off with another proven weight loss or fat burner supplement. The truth is, there are far superior products out there in the market that can give you what you need to achieve your health goals. 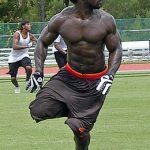 Will Hydroxycut Gummies Work For You? The good thing about Hydroxycut Gummies is that they made losing weight easy and convenient. The only issue is that you’ll need to spend anywhere from 6 months to a whole year to start seeing results. The 2 for 1 supplemental concept is awesome but one ingredient for burning fat doesn’t really cut it. Hydroxycut Gummies will work, but it won’t be as effective as the other fat burners out there. If you’re serious about losing weight and have a target in mind, check out our recommendation. 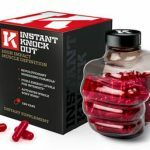 It doesn’t have the side effects that you might experience with Hydroxycut Gummies, and it gives you better value for your money. 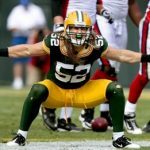 Hydroxycut Gummies is the latest iteration of the Hydroxycut products in the market today, and manufacturers have made it easy for individuals to take their vitamins with the promise of losing weight. The mixed fruits flavor and the gummy consistency will probably take you back to your younger years, but it won’t take off fat from your waist. 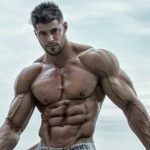 All in all, it’s a mediocre weight loss supplement that you should pass in favor of better and more powerful fat burner. 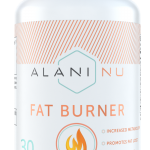 Any of the supplements on our list of the Best Fat Burners for Women would blow it out of the water.